A few months ago, I meandered into Bare Bones Brewery in Oshkosh with a friend looking for a few drinks and a good time. Although our 21 and 22-year-old bodies were perhaps the youngest around, we quickly found the environment quite relaxing. Part of that was probably the IPA that I had in my hand, but another part was attributed to the stunning musical performance coming from the corner. 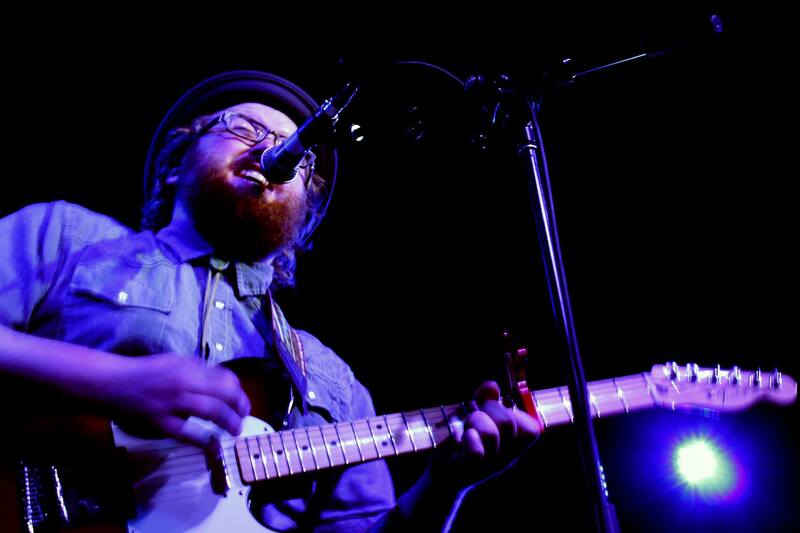 I turned to focus on the musician, and it was none other than the brewmaster, R.J. Nordlund. Now, I was not surprised when he told me that he had a band, but I was in awe when I got home and checked out their EP, Nomads Assemble. R.J. told me that he wanted to collect musicians with diverse musical experiences and backgrounds to build a unique sound. Nordlund and the Nomad Assembly is an assortment of rock, country, and indie styles brewed together with phenomenal results. These guys from the Southeast side of Grand Rapids, Michigan know how to have a rockin’ good time, but they also have the ability to ease off the pedal and deliver music finer than a perfect head on one of R.J.’s beers. Nordlund has a multitude of solo performances coming up throughout the Fox Valley area in the next few weeks, including stops at Fox Cities Stadium at 11:00AM and New Moon Cafe at 8:00PM this Saturday, July 23rd. For a list of his upcoming gigs, click here. If you want a peek at the Nomads Assemble EP, head over to find them on Bandcamp.